You're Invited: Flavorwire + Gap Garden Party with De Lux & Franki Chan! Winter blues got you down? We've got the perfect pick-me-up to pull you out of L.A.'s (kinda-sorta) winter and into an early spring! Come out to a Flavorwire + Gap garden party on Tuesday, February 11th celebrating Gap's Spring 2014 collection, which is all about sunny sorbets this season. 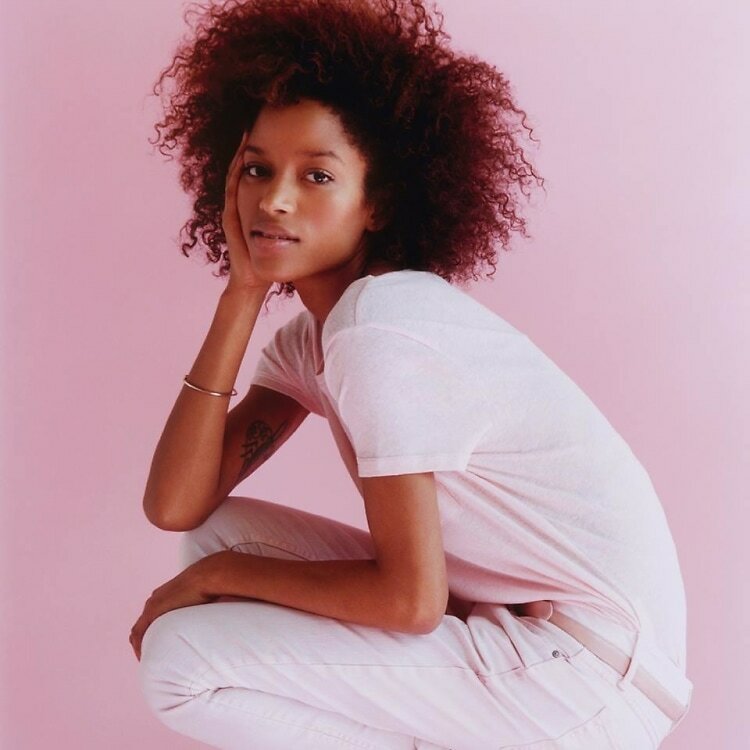 Along with a chance to be the first to shop the new Gap collection, the event will include a chance to check out Styl.d by looks from Flavorwire's own Leah Taylor and Jason Diamond and custom floral accessories by Flour LA. You'll also get to enjoy complimentary bites and drinks from Heirloom LA (these are the very same folks who came up with those ingenious lasagna cupcakes, people), plus live performances by De Lux (Innovative Leisure) and beats by IHEARTCOMIX's Franki Chan and Bathhouse. That's right: live tunes, fashion, plus some of Heirloom LA's cuisine and drinks?! 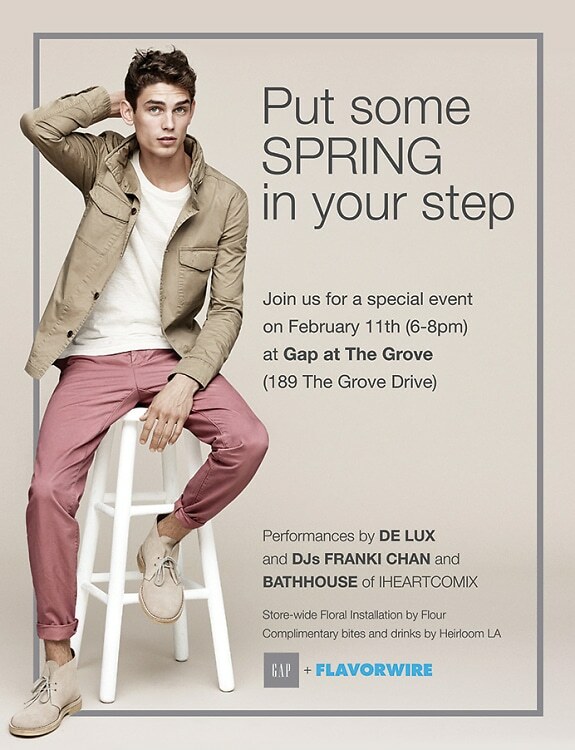 All this fun and more is going down on Tuesday, February 11th from 6-8pm at Gap at The Grove. RSVP right here to get in on all the action.